MEDIC Regional Blood Center: Parrot Head Party May 25th! Parrot Head Party May 25th! 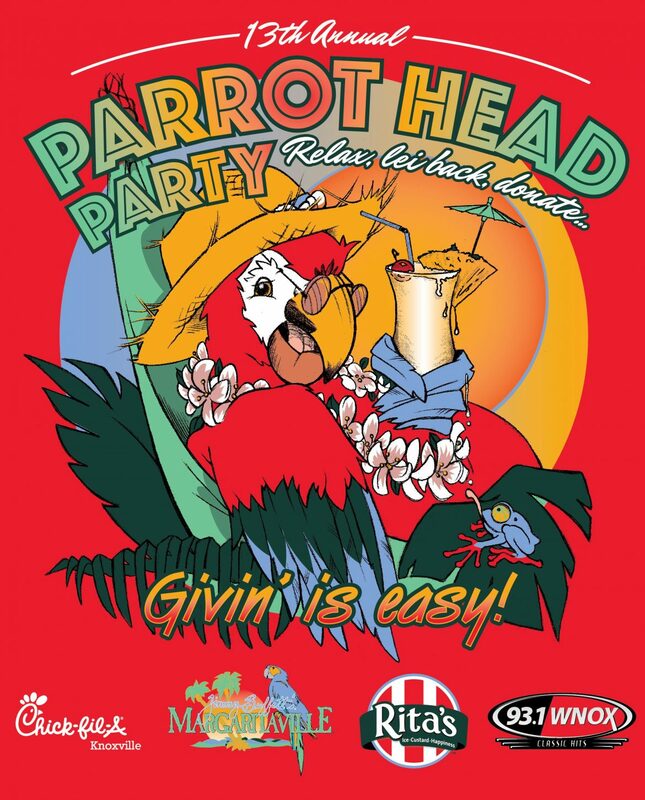 The Parrot Head Party includes decorations, music, games, live music, and free food. WNOX’s Frank Murphy will be broadcasting live and Knoxville’s most famous parrot, Einstein, from Zoo Knoxville will be entertaining donors. Donors can come as early as 8am. The food and entertainment begins at 10:30 and continues throughout the afternoon. As a thank you for their lifesaving gift, all donors will receive a limited edition Parrot Head t-shirt, a coupon for a free Chick-fil-A Sandwich, a coupon for a free Texas Roadhouse appetizer, and a coupon for free Rita’s Italian Ice. In addition, all donors will also be entered to win gift certificates from Margaritaville in Pigeon Forge, tickets to see the Tennessee Smokies, and a gift from Smoky Mountain Knife Works. A typical blood donation takes about 45 minutes. Although Parrot Head Day is one of the busiest days of the year, MEDIC is tripling its staff at its donor center to minimize wait times so “Givin’ is Easy” at this party. All donors are encouraged to go to www.medicblood.org/eligibility to determine whether they can donate.